Today’s guest blog from Hannah Powe is a story about following your passion and grabbing opportunities with both hands. 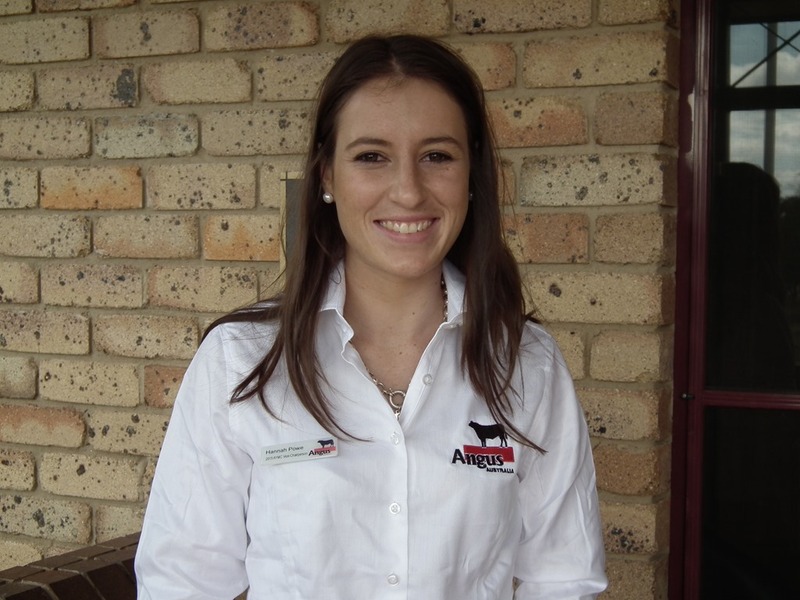 Hannah’s love of beef cattle has taken her from New South Wales to New Zealand and through the cattle country of Canada and the US. Wherever she is, Hannah will be happy as long as there are cows! Hi, my name is Hannah Powe and I’ve spent my life surrounded by motivated, encouraging and passionate people who all love the same thing I do: Beef Cattle. My interest in agriculture has grown from those people, along with the support and drive of my mum and dad. Growing up in the Hawkesbury region of NSW my family primarily grew mushrooms; beef cows were simply a hobby. But this farm girl always had a desire to make it so much more. 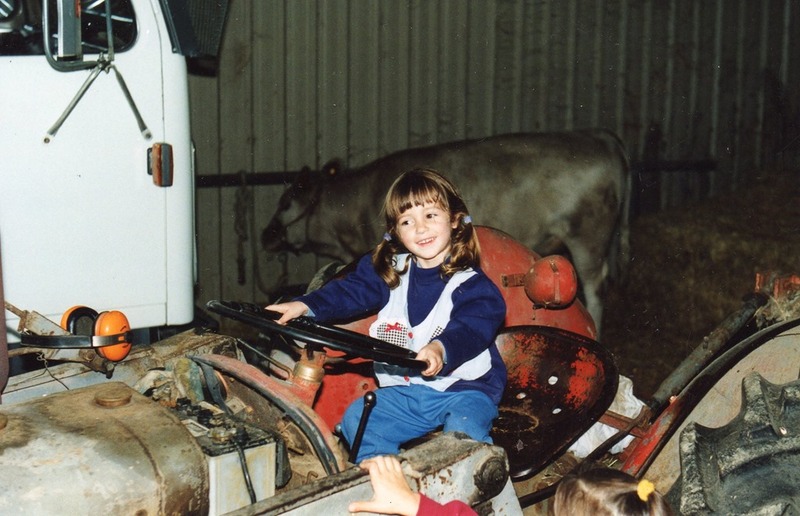 From a young age I remember running around among the cows with my big sister, getting stuck in the mud, playing with calves and travelling across the state to attend shows and visit friends on other farms. The part I loved most was always simply look at and being surrounded by cattle. Even though I grew up close to Sydney, I appreciated having such an agricultural based childhood. It made me aware of where our clothes came from, how food was produced and the overall connection and importance of primary producers in the scale of everyday living in Australia. My decision to pursue a career in agriculture and the beef cattle industry begun at my first Angus Youth Roundup held at Canberra in 2009. 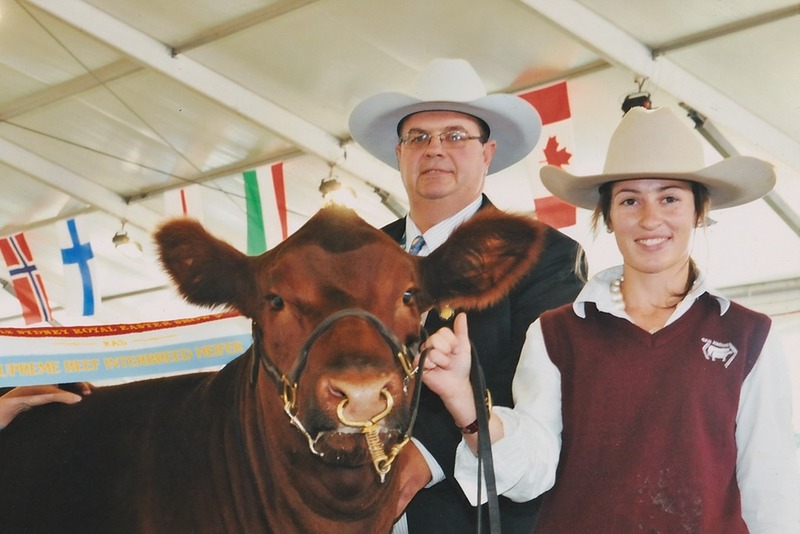 Coming from a Murray Grey background – my parents started our stud with primarily Murray Greys in the 1980 – and having little experience in how a heifer show worked, I was surprised by how professional, yet also welcoming and eager, every was. Throughout that weekend I met many people that challenged and motivated me to want to learn more. I placed 3rd in my first ever parader class and gained new friends – many who are still my closest friends today. Growing up, I was always a quietly spoken and shy girl. 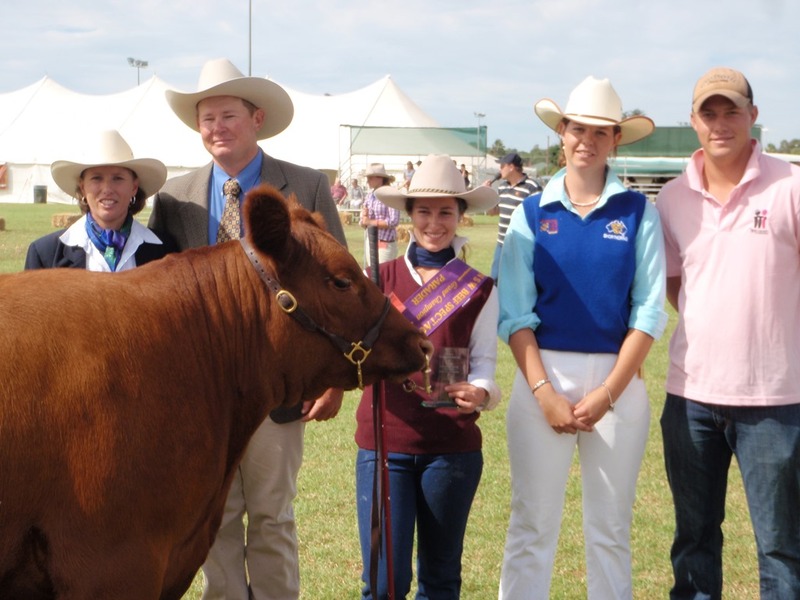 It was a continual struggle for my family and friends to get me to speak in public, especially to take part in a junior judging competition, until I had to associate judge the cattle section at the 2009 Boorowa Show. People that have seen me grow and flourish still remind me of this experience every year, especially when I’m in the position of helping someone younger who faces similar challenges to me. It really grounds me, shows me how far I have come as a person and highlights how lucky I am to be supported by the beef industry and individuals who have helped along the way. After this there was no looking back, or should I say, no holding me back. 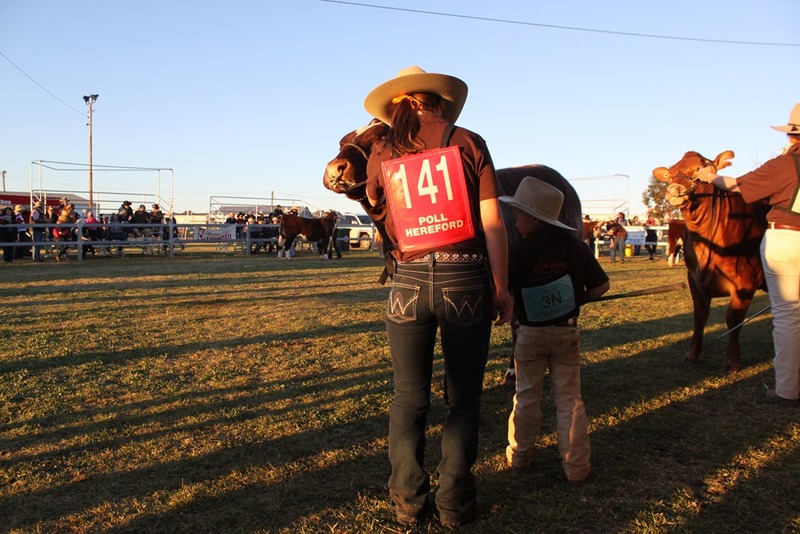 I have sought out every opportunity to compete in junior judging competitions as well as had the privilege to associate or judge local shows across the state. Travelling far and wide across Australia and internationally, to represent my breeds and meet likeminded, passionate and encouraging people that fuel my drive to achieve. I am thankful to my family for never holding me back. People that know the Powe family, know that it’s a family thing. Our cattle are the glue that sticks us all together. Mum and dad manage our property while my sister and her husband grow the feed that my dad mixes to feed the cattle. When we go to a show or field day each person has their role and even though we probably don’t always seem like it, we are thankful to have each other there. In 2009 we introduced Red Angus to our herd as the focus breed which has been an exciting and rewarding endeavour, with many major successes. The next year I moved away to boarding school at Yanco Agricultural High School. My family believed this would help me ‘focus’ but while I did study, I spent every spare moment working with the beef show stock team. I felt Yanco was a place where I belonged – a home away from home, with cows. 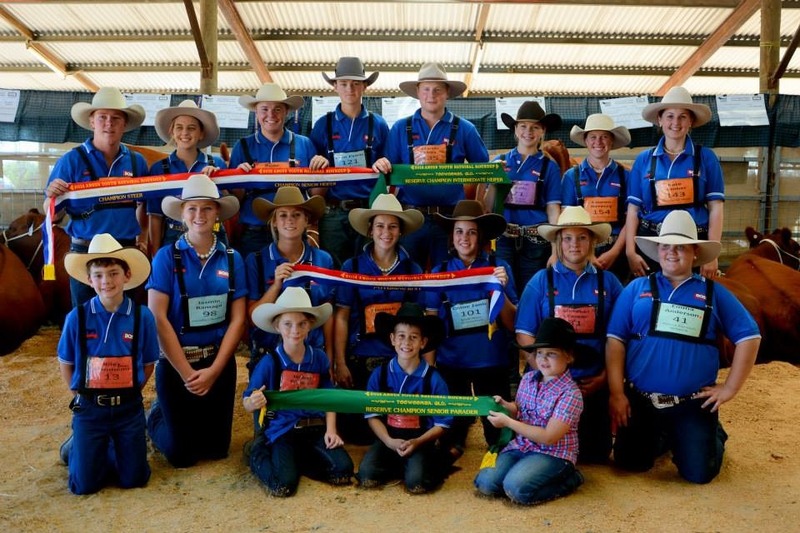 Being situated on a rural property, surrounded by like-minded agricultural kids from across Australia, and the industry events I was exposed to really pushed me to want so much more. After school I made the natural choice to study a Bachelor of Agricultural Science at Charles Sturt University, Wagga Wagga. To gain experience in another part of the red meat production chain, while at uni I challenged myself by taking part in the Intercollegiate Meat Judging Competition (ICMJ). 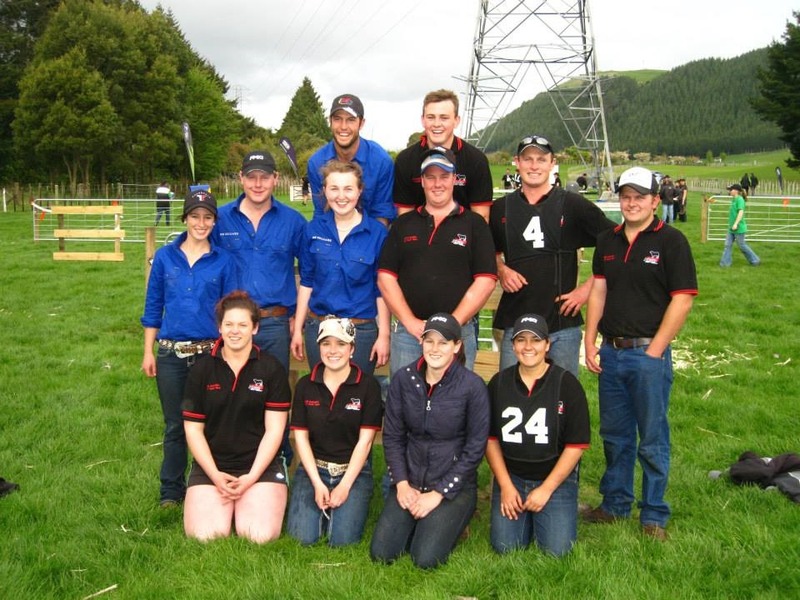 My hunger to learn about international agriculture and different beef production systems began in 2013 when I had the privilege to compete for Australia in the World Angus Forum (WAF) in New Zealand. The WAF is the pinnacle of the Angus community, bringing people together to celebrate and learn about the breed’s progression worldwide. New Zealand will always be a connection to so many different countries for me; I was lucky enough to meet a network of international delegates which has led to many overseas adventures to areas no one would have imagined. Directly following the WAF I travelled to Canada for a six week individual travel program. A highlight of the trip was being able to attend Northland’s FarmFair International and Canadian Western Agribition – two of the major stock shows in Canada – as an Australian delegate. I spent time visiting with producers of bulls we use in our production system and saw new and upcoming genetics, all while working in a totally new environment and making another home away from home with cows. Following my overseas adventure, my interest changed direction and I became more driven to engage, influence and share information with others. Previously being part of the Angus Youth committees, in 2014 I took on the role of communications and promotions director before this year becoming the vice-chairperson. I hope to keep giving back to the programs that encouraged and influenced me. One thing I love is seeing kids grow, develop and become more confident within our industry. Recently I chose to explore the other side of our production system – the commercial beef industry. Throughout my summer holidays I worked at JBS Swift Riverina Beef Feedlot located in Leeton, NSW as part of the animal induction team. Busy days made for enjoyable learning about grading cattle going into the feedlot and animal health programs. In 2014 I was privileged to be awarded the Murray Grey Senior Youth Ambassador that enabled me to undertake an international study trip to Texas A & M University in College Station, Texas. As well as studying subjects in genetics, reproduction and US beef production systems, I had the opportunity to explore the local stock shows and visit world class facilities for reproduction technologies and beef data analysis. In my six years of involvement in the beef industry, the most significant and memorable moments have come from being surrounded by people that push and challenge me, the wise words of wisdom or support they offer, and the friendships made with families on the holiday show circuit. But the most rewarding part is the love I have for my animals and the simple joy the cattle bring to my life. Those that know me well, know to not get between Hannah and her cow! My passion for them is never ending. The only certain thing I can say about my future is that I know it will be with beef cattle – a passion instilled in me thanks to my family. I am about to undertake my final year work placement at Agricultural Business Research Institute (ABRI) and Animal Genetic Breeding Unit (ABGU) in Armidale, NSW, where I will gain experience in genetics, research and data, and work alongside some of the industry’s great influential minds. Home is where the cows are and I know no matter where I am in the world I can find refuge in the back blocks surrounded by cattle, enjoying the true agricultural experiences many of us dream about. Fantastic achievements Hannah.So pleased you are doing something you love.It shows!!!!! !Say hi to Mum & Dad for me please.I know how influential they have been in your life.Keep up the great work.